From sketch book to finished product. 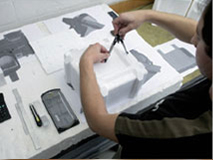 Using state-of-the-art tools, our product developers are able to take on your ideas, to create samples and prototypes and bring them to the production stage. Whether you’re in the medical sector or the air industry, our experienced team of experts apply the right materials with the right properties. 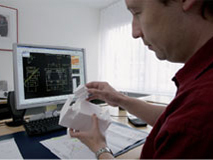 Our foam product specialists develop solutions for Styrofoam packaging, other foam-based packaging, reusable packaging, load carriers and insulation crates. 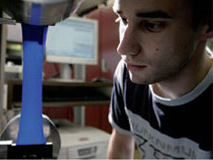 You can count on the experience of our foils department to develop foil products such as pressure cuffs, air cushions and thermal hoods.